Unknown5:17 PM 8 sweets for free! 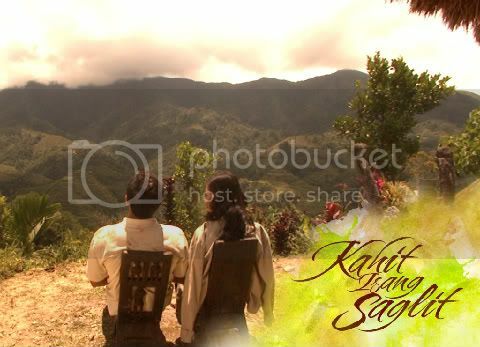 September 15, 2008 is the premier date of the asianovela TV series “Kahit Isang Saglit” or "A Time for Us” a partnership between ABS-CBN and Double Vision starred by Philippine’s very own Jericho Rosales and Carmen Soo, model/actress of Malaysia. It airs on September 15, 2008 in the Philippines primetime every Monday – Friday, and in Malaysia every Saturdays and Sundays . I personally have Malaysia close in my heart though ironically I haven’t been there yet. But the people I have known online are people worth going there for. Probably it’s because their values are close to ours here in the Philippines. There was even a time where we discussed in Shout Out Lounge about Pangaea and how we all once were linked by land. Now, even if that land bridge is gone, in my heart I know this virtual bridge we have will stay forever. morning everyone blog updated! "A time for us pinoys &malaysians"